Have an adventure under the sea on January 29th, 2017 from 1:00 pm –4:00 pm at the Marriott Cedar Rapids. 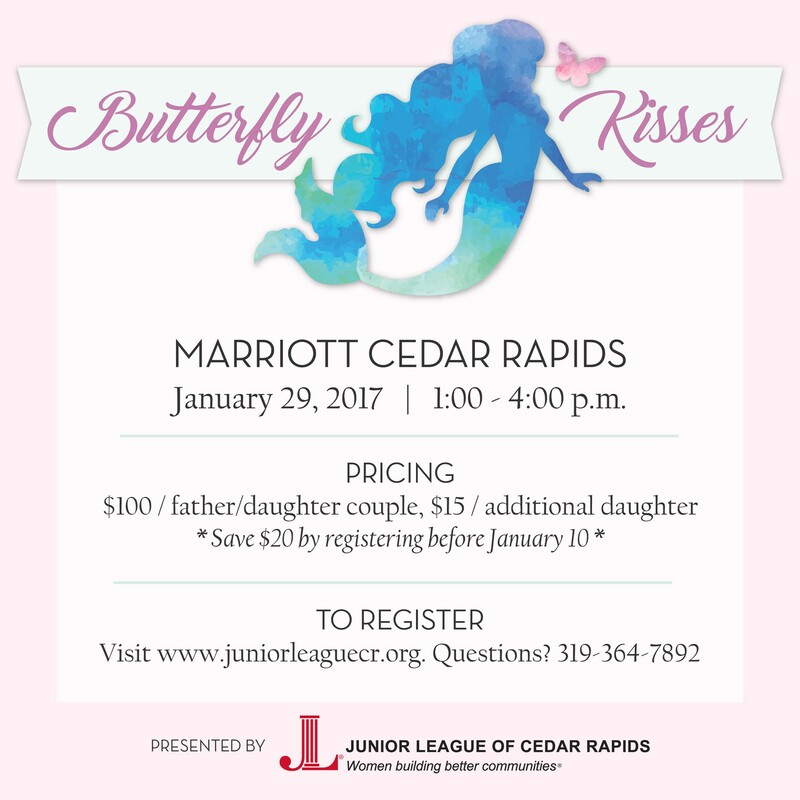 Junior League of Cedar Rapids will be hosting its 15th Annual Butterfly Kisses, a father/daughter dance, with this year’s theme based on Disney classics, The Little Mermaid and Finding Nemo. Tickets are $100 per father/daughter couple plus $15 for each additional daughter. We’ve extended the Early Bird price until January 20th! Save $20 and pay just $80 per father/daughter couple by registering by January 20th.